Cleaner floors, all at the push of a button. Full suite of iAdapt® sensors help Roomba clean everywhere, including under furniture, while avoiding stairs and other drop-offs. Cleans multiple rooms using the Northstar® Navigation System, including under furniture while avoiding stairs and other drop-offs. Just press Clean or schedule in advance, and Roomba gets to work. 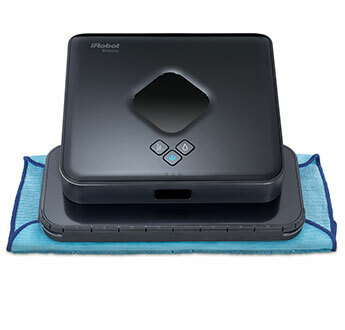 Just attach a microfiber or disposable cloth and press a button to get cleaning. AeroForce™ Three-Stage Cleaning Technology uses patented debris extractors to clean the floor more effectively. Dry and damp mops your floors to reveal their natural shine. Visit our store to purchase on for your home or learn more about these incredible products. 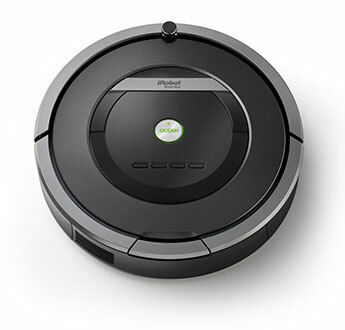 Our flooring experts will help you choose the right iRobot® device to meet the needs of your floor.